A Simple Guide to Property Division in Divorce | Alan L. Billian, P.A. When facing divorce, a lot of people become stressed and anxious about property. What’s going to happen to the house? Who’s going to get the car? Or the bank and investment accounts? Which one of you is going to get to keep the record collection? What about the decades’ worth of Christmas cards? There are a lot of questions about property division and what it might mean for your divorce. Here are a few things that you should know. Though the rules vary from state to state, if you get a divorce in the state of Maryland, you’re going to face the law of equitable distribution. This law dictates that property will be divided “fairly” rather than straight down the middle. 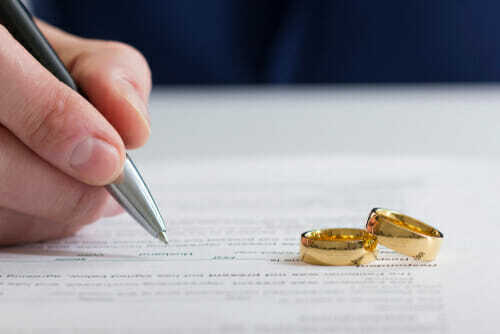 To attempt this, the court will look at a variety of factors including each spouse’s economic status, the circumstances that ended the marriage, the marriage’s length, and a number of other details. It should also be noted that the equitable distribution only applies to property acquired during the marriage. Property owned before the marriage occurred will return to its respective owner unless otherwise complicated by adding people to deeds and co-ownership. This “non-marital property” can also play a part in how the marital property is distributed. Unfortunately, there is no simple guide to property division that will promise one spouse something over the other necessarily. For every hard and fast rule we nail down, there are a few exceptions. Your divorce proceedings will be as unique as your marriage was, but don’t lose hope. When you work with a dependable divorce attorney and an experienced divorce attorney and focus on the things that really matter to you, you can get to a fair resolution. Though it may be tempting to escalate the situation if it isn’t going the way you want it to, this is not always your best option. When a judge decides what is fair, the conversation is over, and you have to live with the consequences of their decision regardless of how you feel about it. Not to mention the fact that the process will take a lot longer if you go to court. Settling matters privately with your respective lawyers can lead to the best outcome for everyone involved. If you’re getting a divorce, you can expect the next few months to be very challenging. However, we can help you navigate your divorce proceedings and make sure that your side of the story is honored. If you would like to learn more about what we can offer, contact us today for more information.